ABC has officially given an order to straight-to-series drama The Rookie. 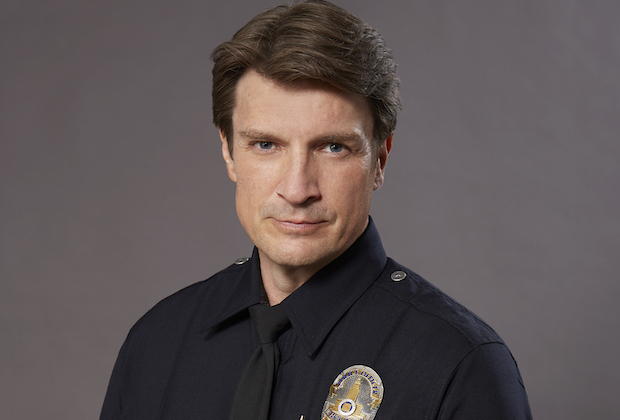 ABC has made their order of Nathan Fillion-starring police procedural The Rookie official. It will arrive on the network in the 2018-19 season. This marks Fillion's return to the network, after Castle was canceled two years ago. The series is created by Castle writer Alexi Hawley, who previously created State of Affairs. The series is produced by ABC Studios and The Mark Gordon Company. The logline for the series, from Deadline: " Starting over isn’t easy, especially for small town guy John Nolan who, after a life-altering incident, is pursuing his dream of being an LAPD officer. As the force’s oldest rookie, he’s met with skepticism from some higher-ups who see him as just a walking midlife crisis. If he can’t keep up with the young cops and the criminals, he’ll be risking lives including his own. But if he can use his life experience, determination and sense of humor to give him an edge, he may just become a success in this new chapter of his life." What do you think of this news? Are you interested in The Rookie? Leave your thoughts in the comments!